Professional Counselling Service in Exeter, Devon with BACP Senior Accredited Therapist. Following a recent appearance on the Happy Sundays show on local Radio station Phonic FM where I was interviewed about my passion for kenjutsu, I decided I would like to expand on the idea of martial arts being a very meaningful exercise. I previously wrote a piece on martial arts and psychotherapy and also mention martial arts (and similar activities) in my post on the Top 5 Things to do Alongside Counselling. "The greatest discovery of my generation is that a human being can alter his life by altering his attitudes of mind". It took us a while to get with the programme but getting there we are with the NHS embracing mindfulness and the University of Exeter investing in the clinical development and research of mindfulness based therapies. Mindfulness alters our perspective and gives us the mental space to develop a new way of thinking, as well as calming down our emotional reactionary circuits. So, my martial art of choice is kenjutsu which is the art of the Japanese sword. I attend weekly classes at Exeter Martial Arts. I joined whilst I was training as a counsellor, and apart from a long break when the class time changed, I have been doing it pretty much weekly for 3 years or so. It has helped me when I have been stressed, or busier than I'd like to be, or had challenging times in my life. There is so much to learn and I value the extensive curriculum that this particular sword school delivers. We train with three different sizes of wooden practice swords (bokken). There is the full size daito (long sword), a shorter sword called shoto (equivalent to a battle damaged daito) and a tanto (dagger). As I explained in my previous post, kenjutsu is cooperative and is about perfecting reactions rather than "winning". Every move has a reason or purpose, whether it be due to the weaknesses in Samurai armour, to leave a wound with visual impact as a warning, or to maximise the opportunity of when somebody has already committed to a move, leaving a window, a fraction of a second, in which to react and respond with a deadly preemptive-attack (my favourite - "Sen Sen No Sen"). Amanda: When did you first start learning a martial art? Amanda: I see that you have a PhD (I thought I read somewhere it was in oncology?) - what was your first choice of career? Sensei: Yes I have a PhD in oncology for Leicester Uni - I worked in International Clinical Trials after my PhD for 6 years in most of the big cancer hospitals in the country i.e. the Marsden in London etc. Amanda: When did you decide to make the teaching of martial arts your career? Amanda: Can you give a synopsis of the styles and levels of training that you have accomplished? Tai Chi Instructor under Master Ma Yue - 17 yrs. Have 11 clubs in my own Jiu Jitsu association across the country - have taught 20-30 people to black belt level. Amanda: Mindfulness is very fashionable in therapy circles these days. I personally find kenjutsu to be sort of like a meditation, in that I switch off my mind, and I regard it as a mindful activity. 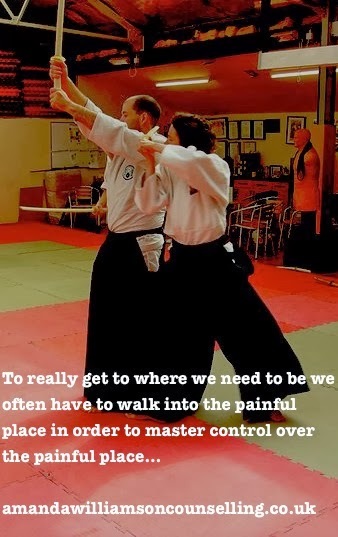 Would you agree with this, and how do the other forms of martial arts you teach fit into this "mindfulness model"? Do you see a link between mindfulness and martial arts? Mushin is a pillar in all martial arts. In my opinion it is a goal and a journey. Amanda: What do you perceive as being the physical, mental and spiritual benefits of studying martial arts? Sensei: It depends on the person and the martial art studied as all are unique. Amanda: I get the impression that with martial arts the learning never stops and that, like life, there is always room for further improvement and development. Would you agree with this? Sensei: Yes the way is always ahead of us as in all things in life. We must live in the now but always to be conscious of the future. Sensei: If this was a 200000 word dissertation I maybe able to scratch the surface - sorry no nutshell answers; only everything and nothing. Amanda: Of all the martial arts you teach, which is your favourite discipline? Sensei: I like them all as I chose to train in all of them. I have always looked at many schools and instructors the ones that teach/train suit me best. Amanda: Any advice for people considering taking up a martial art? Sensei: First; for getting involved in anything, just get out there and do it. Procrastination is the enemy of all. Find an instructor and a club/style which suits you. Once you have gotten out there and found an instructor and an art you like and which suits you stick with it. There will be peaks and troughs as with all things in life but the benefits easily out weigh the sacrifice. So Sensei mentions Mushin which does seem to be similar in concept to mindfulness. I suppose that kenjutsu for me, is one way of practising mindfulness. I am lucky in that my counselling work is very mindful in that I am aware and present in the moment with my clients. It is easier to be mindful when we are doing activities which promote mindfulness. My enabling work with an autistic teenager is also very mindful. William is perpetually mindful of the immediate here and now. I had a dream about him, about 3 or 4 years ago (around the time I started training in kenjutsu). I was in a forest, taking part in a gruelling assault course. I was struggling to climb over and under things at breakneck speed. I glanced over at the other competitors and all I could see was William, skipping up and down on a tree stump, flicking a ribbon, whistling and smiling, totally at peace with the world. I learned to calm down from that dream. 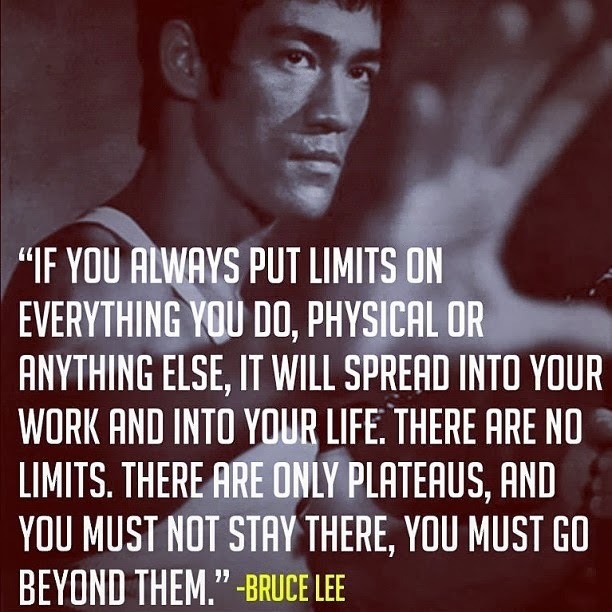 A great martial arts class can be a highly effective way of developing strength of body and mind, of switching off the old, habitual thought processes and turning on that part of us that makes us uniquely human - our frontal lobes. Flex that frequently and you'll have a young mind as well as a young body. Finally, I asked many people I know who do a martial art to tell what their Myers-Briggs type is. I was hoping to see a pattern. I had assumed that they would be mainly introverts rather than extroverts but actually, there was a fairly even spread. However, the majority of martial artists were *NF* types, that is intuitive and feeling (as opposed to sensing and thinking). Hmmn. Food for thought. I'd love to hear what others think about martial arts, why they do it, what they get out of it, and also their Myers-Briggs type! Please note that comments posted do not necessarily reflect my personal beliefs or viewpoint. I will not publish rude, offensive or spam related comments.